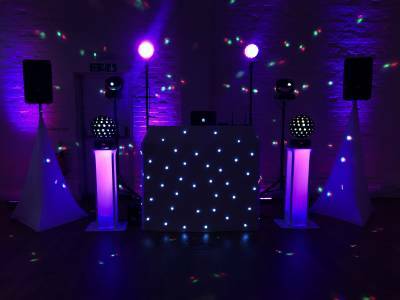 "Disco And Party Packages For Every Occasion"
Wyld Parties are a professional mobile DJ service with a difference based on the Isle of Wight. We always strive to add that personal touch to every booking, ensuring your party is a night to remember! From the initial enquiry to the packing down of your party we will always show politeness, professionalism and above all, friendship, as there's nothing we love more than seeing a smile on someone's face. We also understand that planning a party isn't something most people do every day, so we're more than happy to help you where we can to ensure your party is a great success. We can also arrange photobooths, silent disco headphones, staging etc., making us confident that if you can imagine your dream party, we can go that extra mile and help you create it. Required by many venues, Wyld Parties has a current PLI policy with Mobile DJ Network in the amount of £10 million. Also required by many venues, Wyld Parties has supplied satisfactory evidence of holding current PAT inspections of their equipment dated within the last 12 months. A Method Statement outlining Wyld Parties&apos; Health & Safety procedure for setting up disco equipment has been provided. Wyld Parties has provided Risk Assessments undertaken at events sourced via needadisco.com, indicating that they can undertake these competently. 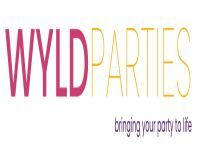 Why do people choose to book Wyld Parties? Out of all the DJs I found he had the best reviews and the most reasonable price. Seems to be only young, but the service set up and layout of his is on point,. "Josh was a great choice in DJ, he listened to requests was in constant contact with us from day one and played all the songs that were requested before the party! We had so much fun and would highly recommend him to anyone! " "Thanks for your lovely words and I'm so pleased you all had a great time Saturday night. It was a pleasure to be part of :)　"
"Josh was absolutely fantastic! He really put on a fantastic show and made our party the best Christmas part ever! Would absolutely recommend! " "Thank you very much for your kind words :) Was a pleasure to be part of." "We had Josh DJ at our 30th birthday party at the weekend and I couldn't fault a thing! Communication leading up to the day was perfect, the set up was stunning, brilliant & professional light work, the music was incredible with everyone all ages dancing & last but not least Josh was an absolute pleasure to work with! Would definitely recommend! " "Thank you for your lovely words. It was an absolutely pleasure to be part of your Birthday Celebrations :-)"
"Josh was an amazing DJ and I have no hesitation in recommending him to anyone. He did a fabulous job and was a lovely guy too." "Thank you for booking me for your daughter's party - It was great fun and a pleasure to be part of :-)"
"Very happy with Josh's service. He kept the kids entertained and dancing. Would recommend his services." "Thanks for taking the time to leave feedback :-)"
"Josh was absolutely great, very professional and polite. His equipment was fantastic, both audio and visual. His set up looked brilliant. He picked up on the vibe of the party and made excellent song choices. The service was brilliant value for money and wouldn't hesitate to book with him again! Thank you Josh!! " 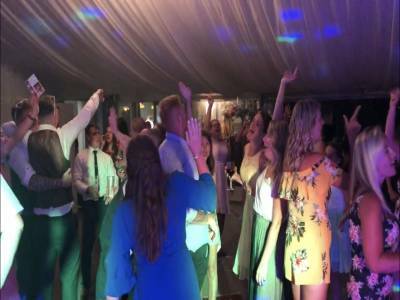 "Thank you very much for choosing me as your Party DJ and taking the time to leave feedback - Glad you all had a great night :-)"
"Josh arrived very early, was extremely professional and put on a great show. During the children's disco no other adult input was required and we were late with the food so Josh reorganised the schedule on the fly. His sound and lights were great, as were the party games. Highly recommended." "It was a great pleasure. Thanks very much :-)"
"Very professional and great set up. Would definitely recommend." 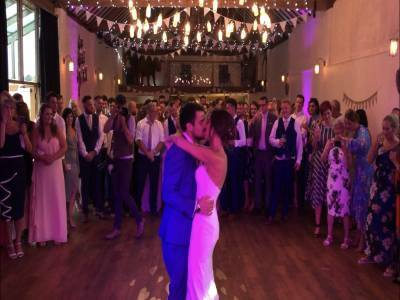 "Thanks for choosing me as your Party DJ - I'm so pleased that everyone had a great time! :-)"
"Brilliant disco!! Couldn't fault any of it. Josh was very professional from the very first email"
"Thanks - It was a pleasure :-)"
"It is clear that all DJ's here are all equally qualified, but Josh stood out from the start. He really has the complete package at reasonable rates, he could have charged us more (as close to Christmas as it was) but he didn't. And it's not because he isn't/wasn't worth it. It's because it's abundantly clear that he is doing this because this is what he loves to do. The little things he offers are also amazing, the ability to pre-request songs for a start. Though this party didn't use it, we host many that would. All in all, it's true that good things do come in small packages. And he is certainly my DJ of choice for future events and functions. See you in the future for sure. And thank you again. " "Thank you very much for choosing me as your DJ. It was a pleasure to work with yourself on this exciting event and I look forward to working with you in the future :-)"
Wyld Parties also offers a range of additional party services not directly linked to musical entertainment. Please note that needadisco.com has no editorial control over these images which are stored on flickr.com. If you have any concerns about what you see below, for example potential copyright infringement or unsuitable content, you should take this up with Wyld Parties directly using the Contact section below, or else you may alert flickr.com directly quoting "set number 72157678329663583". 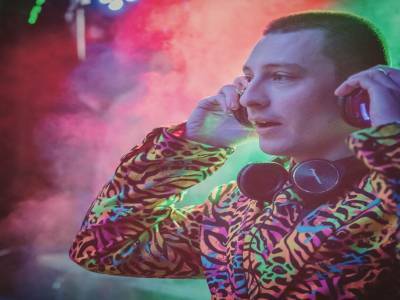 Get FREE no-obligation disco quotes from Wyld Parties and other DJs covering your venue. Take 2 minutes to fill in some basic details and we'll do the rest! If you are contacting Wyld Parties about an event, it's always a good idea to include the DATE, LOCATION, EVENT TYPE, AGE GROUP and TIMINGS to speed things up!